Opticians have always strived to provide the highest levels of professional and customer service to their patients. Even so, the devices they use to measure frame, lens, and patient parameters as well as those they utilize for demonstrations and patient education often hinder their effectiveness. 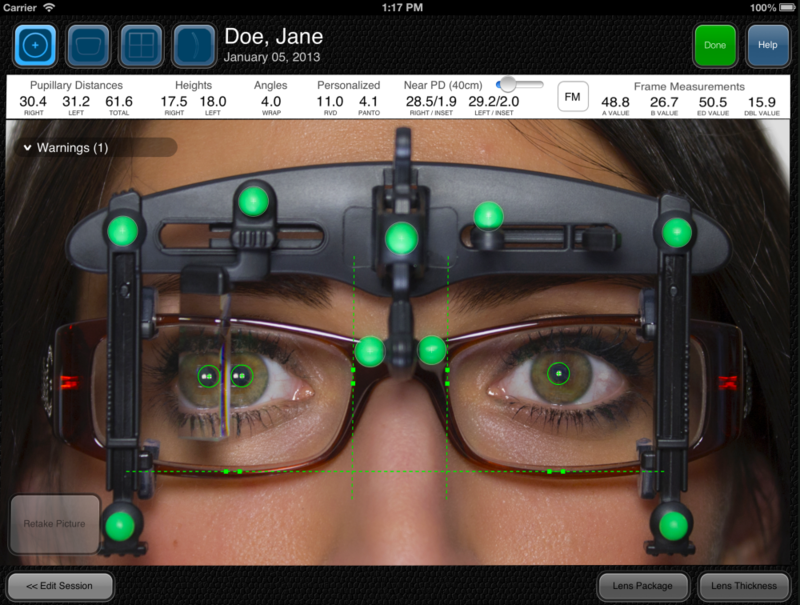 The new Optikam software not only enhances an optician’s abilities, it extends them. Based on a currently used and proven technology, the EY-Stick is an ingenious device that is easy to use; simply hook it onto the patient’s pre-adjusted frame. This era of digital centration allows eyewear measurements to increase an optician’s measuring exactness in a number of ways. The benefit of taking all these measurements with one photo is huge. 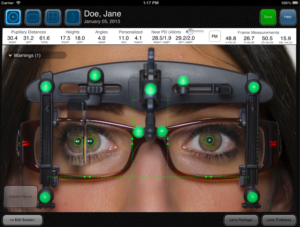 Too often, either the patient or the optician moves during the measuring process. Whenever that happens, accurate alignment is broken. Taking all these measurements at once ensures consistent and correct alignment, which really improves accuracy. With the simplicity of one photo, opticians can capture a multitude of precise measurements with Optikam. Is a mirror enough? Most customers have a hard time properly seeing themselves in a mirror and need to take a picture to see how they look in their new eyewear. Instead of having your customers take pictures of their new frames with their smart phones, you can use the Optikam to show them that you’re innovative and you care that they look their best before they order their new eyewear. 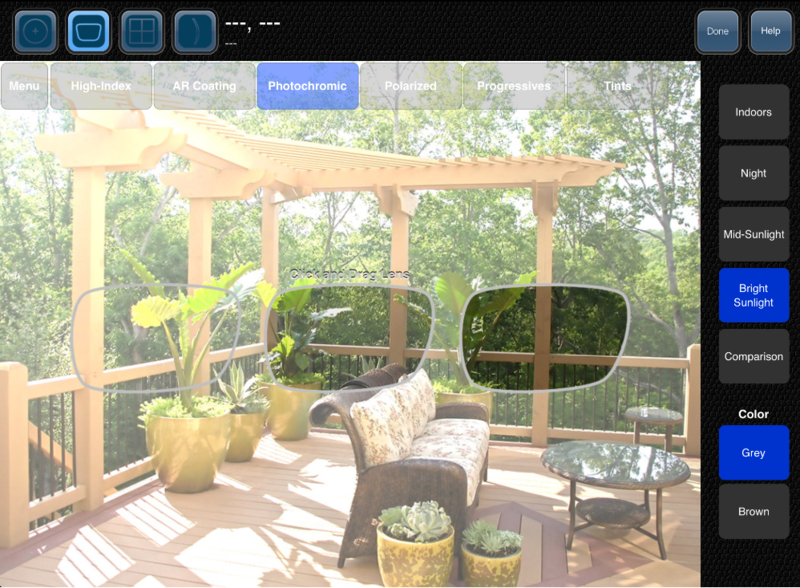 The lens demo module shows patients how thick their lenses will be; how their lenses will look with and without an anti-reflective (AR) treatment; and how bifocals, traditional progressives, premium progressives, and personalized progressives function and compare. 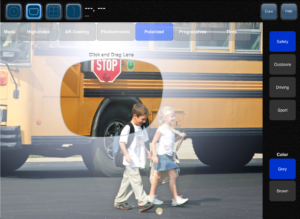 It also illustrates and compares photochromatic, polarized, sun, and fashion tinted lenses.